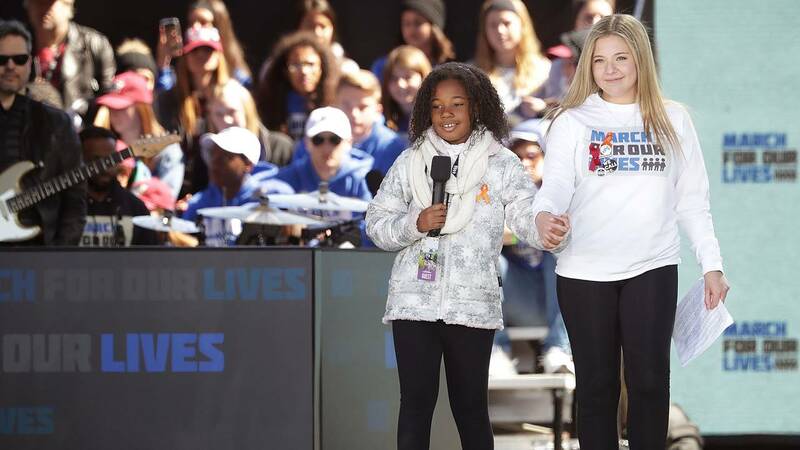 Marjory Stoneman Douglas High School Student Jaclyn Corin, right, and Yolanda Renee King,, granddaughter of Dr. Martin Luther King Jr., address the March for Our Lives rally on March 24, 2018 in Washington, D.C.
(CNN) - A surprise guest appeared at the March for Our Lives in Washington on Saturday to tell the crowd about a dream her grandfather had. "I have a dream that enough is enough," King added. "And that this should be a gun-free world, period."